A jar of Nutella is sold every 2.5 seconds. It is one of Italy’s biggest exports, the pride of a nation, and the brainchild of business icon Michele Ferrero. As the more chocolate-aware may glean from the surname, Nutella is not the only international success to have come from the Ferrero stable: Ferrero Rocher, Kinder Eggs and Tic Tacs are also formidable pillars of Italy’s greatest confectionary empire. These products, a global vision, and a knack for rapid expansion made Michele the richest man in Italy, as well as one of the country’s most respected businesspeople. His company, the Ferrero Group, now operates in over 160 countries worldwide, with turnover of €9.5bn for the 2014/15 financial year, having achieved 13 percent sales growth. This is particularly impressive as much of the wider confectionary industry experienced only single-digit growth over the same period. After several decades at the helm, in 1997 Michele passed the reins to his two sons, Pietro and Giovanni. The pair worked well together until tragedy struck in 2011, when Pietro died in a cycling accident, leaving Giovanni in sole charge. 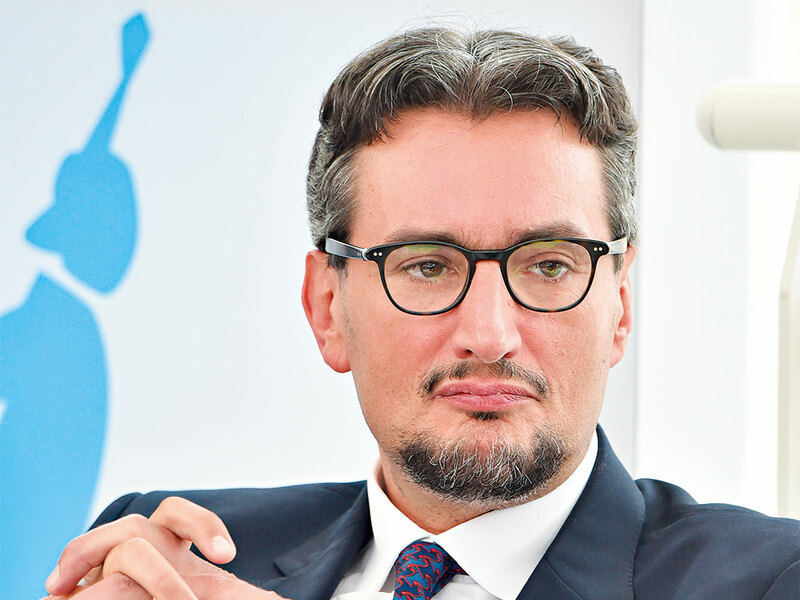 Despite stepping down as CEO, Michele’s influence could still be felt in the Ferrero Group, no doubt helping Giovanni through the difficult years after his brother’s death. This changed in 2015, when Michele himself died two months shy of his 90th birthday. Given the size of the business and the special place it holds in the Italian psyche, Giovanni has an incredible task on his hands – not only to keep in tact the empire created by his father, but to also further develop and expand it in order to create his own legacy. It is often the case that, during times of hardship, humankind produces its most ingenious creations. While this is certainly the case for monumental technological innovations, from electricity to computers, it is also relevant for our food. Take chocolate as an example; when cocoa trade routes to northern Italy were cut off during the Napoleonic era, chocolatiers had to adapt to survive. They created gianduja, a chocolate bar supplemented with around 30 percent hazelnut paste, making every ounce of cocoa stretch that little bit further. Rationing struck again in the 1940s, by which point gianduja had become a staple in the Italian diet. Using the bountiful supply of hazelnuts in the Piedmont region, Pietro Ferrero, the owner of a pastry shop in the small village of Alba, modified traditional gianduja to make a spreadable version that required less cocoa. Ferrero’s SuperCrema, as it was first called, could be spread on croissants, toast, or even eaten with a spoon. Needless to say, it quickly gained traction with locals. The recipe, however, needed some fine-tuning, and with the help of his son Michele, Pietro released the improved version in 1964 with a new name: Nutella. Today, Nutella is a household name throughout Europe and much of the world. “While popular in Europe, chocolate spreads were slow to appear in other major markets such as the US, but Nutella gained traction through word of mouth, advertising, and the company’s ability to take advantage of changing consumer tastes”, said Marcia Mogelonsky, Director of Insight at Mintel. This keen ability to adapt to markets and heed changing consumer tastes has made this humble chocolate spread a global phenomenon. To put this into context, so much Nutella is produced each year that it could circle the globe 1.8 times. And to meet this mammoth demand, Ferrero has become the biggest consumer of hazelnuts in the world, buying 25 percent of the global supply. With Michele at the helm, the attention to detail involved in perfecting the Nutella recipe was also applied to his following creations. For Ferrero Rocher, for example, Michele reportedly spent five years perfecting the method to shape wafers inside the chocolate shell. “Looking at the launches introduced by the company during his lifetime, there have been few losers and many, many winners: Nutella, Kinder Eggs, Tic Tac, these are all major brands with highly regarded reputations”, Mogelonsky said. “He put family first and set up the company as a family company; a very Italian model that has proven successful”, Mogelonsky added. Another key aspect of the group’s success was how much Michele valued his employees. He would arrange for those living in villages close to the Alba headquarters to be picked up and dropped off for their shifts, while he also offered them welfare services, such as free medical care. The good will has been reciprocated; Ferrero’s employees have never been on strike, and when floods brought the factory in Alba to a standstill in 1994, hundreds of workers turned up on their own accord with brooms and buckets to help it reopen within just 15 days. Michele’s strong leadership was also reflected in a strong executive team, which not only helped him achieve his global ambitions, but also ensured his eventual handover was as smooth as possible. “Michele Ferrero built a top management line: very powerful, very experienced, very committed. And so, when he retired, it was not so difficult for his two sons to manage the transition”, Corbetta explained. Indeed, Ferrero has such a renowned reputation in Italy that to work at the company is, in itself, an achievement. This status has been attained through a strong commitment to training and educating employees, particularly those in more senior positions. For the few short years the two brothers shared a title, Pietro was considered by many in the company to be the dominant manager: Giovanni, on the other hand, was the more introverted of the pair. Before his untimely death, Pietro was a modernising force in the group, helping to push Ferrero forward in an increasingly competitive market. Nonetheless, he was restricted by the imposing presence of Michele. Indeed, right up until his death in 2015, Michele was heavily involved in product development and strategic decisions, and had long opposed and blocked expansion through acquisition. Although Michele’s approach proved incredibly successful, in a commendable effort to put his own stamp on the business Giovanni has revitalised the Ferrero Group from within. Since his father’s passing, Giovanni has brought in foreign managers and drastically sped up product development by halving time to launch. Furthermore, Giovanni has implemented new marketing campaigns to reach Millennials, including a web platform where customers could send in photos and videos for the group’s 50th anniversary, sponsoring a live-streamed concert, and the wildly popular promotional tool of personalising Nutella jars. Giovanni has shown he can bring something different to the table. To start with, his background is completely different from his father’s, the latter being self-taught, and the former having studied at the European School in Brussels, before moving to the US to study marketing at Lebanon Valley College. Giovanni is also the author of several fiction books, the latest being The Song of the Butterflies, published in 2010. As for the group’s long-term strategy, it would seem that this, too, is receiving an overhaul, departing from the status quo that was in place for decades under Michele’s watchful eye. In March 2015, Ferrero gained final approval to begin the integration process with one of the biggest hazelnut producers in the world, Oltan. Given Ferrero’s dependence on the crop, this was a critical move for the company, helping to shield it from price fluctuations in the global market. Later that same year, the price of hazelnuts was driven up 60 percent due to bad weather, confirming the wisdom of the move. While his father’s shadow will loom large for years to come, Giovanni has shown he has the ability to stay true this legacy while mixing in an element of modern business thinking. By combining the old and the new, Giovanni is carving out his own legacy – a rare and difficult feat. The proven elements of Ferrero’s success will undoubtedly continue to be the bedrock of the company. At the same time, expansion via acquisitions is here to stay as a support to organic growth, as indicated by the first 18 months of Giovanni’s lone reign. This will help him consolidate Ferrero’s presence in new territories and help drive sustained growth in the years to come. Given the group’s high success rate for product development, excellent corporate governance, a reputation that attracts the best talent, and now a new business model, Ferrero could well climb from the number three spot to become the biggest confectionary group in the world.